You are here: Home / Pondering Paeds / Pondering Paeds: Buckle In! 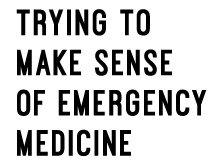 I believe that anything we do in the paediatric emergency department should aim for the most streamlined care pathway and least hassle for the child, parent and whole family. Quality improvement projects that change something to achieve the above are right up my street. 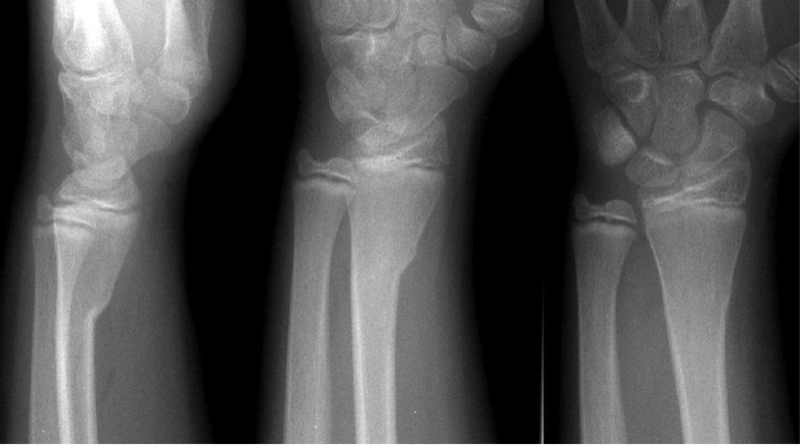 I was involved in introducing a new buckle fracture guideline in a department I worked in a while ago, which totally changed the way we dealt with the injury (splinting rather than casting) – kids and parents much preferred the new approach, and the department saved money as well – an all-round win. More information on the project can be found here. 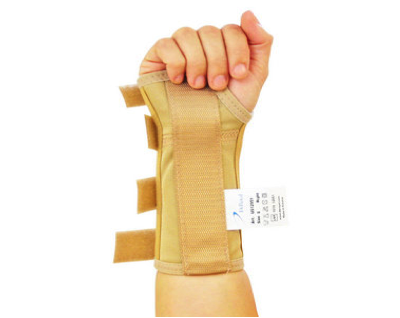 Some places still put buckle fractures in casts and re-Xray them at 2 weeks etc… so I thought I’d write a piece about splinting buckle fractures, which is based on evidence from clinical research – several RCTs are neatly summarised over at bestbets. 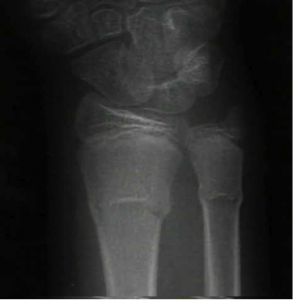 A buckle fracture (sometimes called torus fracture) is an incomplete fracture of the distal radius. On the Xray there is classically a bulge of the cortex due to compression along the long axis of the bone. Sometimes on the lateral view you can see a ‘step’ in the cortex but crucially the opposite cortex is intact. There is minimal angulation of the radial fracture, and the ulna is intact. 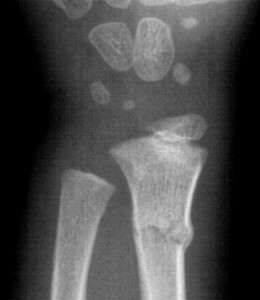 More pics and description can be found on the buckle fracture page at Radiopaedia. 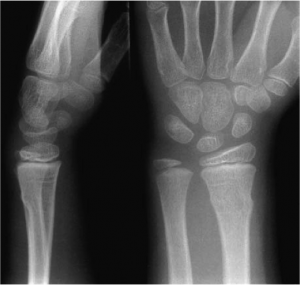 Older folks might get a Colles fracture from a FOOSH. 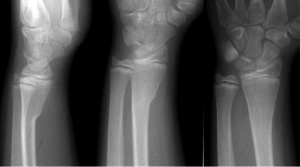 The same mechanism in a kid, whose bones are much more pliable, will often cause a buckle fracture. Generally, there is well-defined tenderness at one point on the radius, but sometimes not much swelling. Buckle fractures aren’t always due to a fall – they can also result from a strong impact to a hand (like a goalie trying to stop a football with some serious pace behind it) – have a really low threshold for Xray. 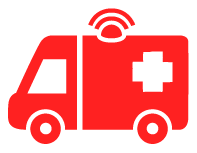 It goes without saying that you should take a careful history of any injury in a child. If you don’t think the mechanism makes sense or you have any child protection concerns, speak to a senior. 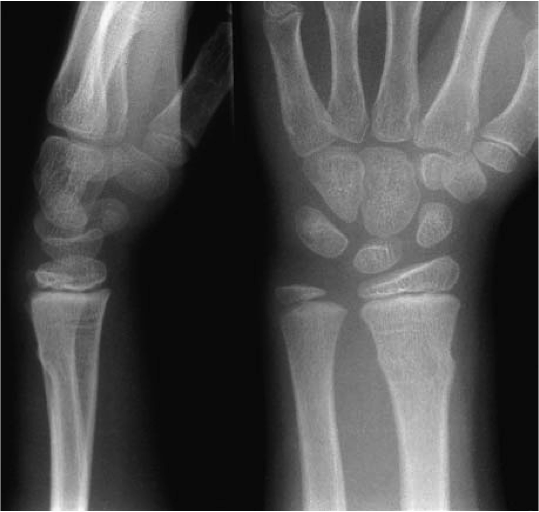 The Xrays show a ‘step’ in the radial cortex and a bit of angulation but the opposite cortex and ulna are intact. 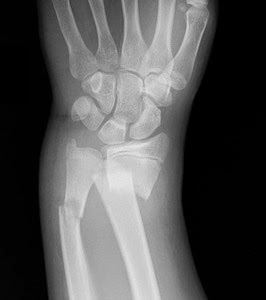 Show the parent and child the Xray so they understand that their ‘fracture’ is more like a ‘bone bruise’. This usually alleviates a lot of anxiety that goes along with the word ‘fracture’. 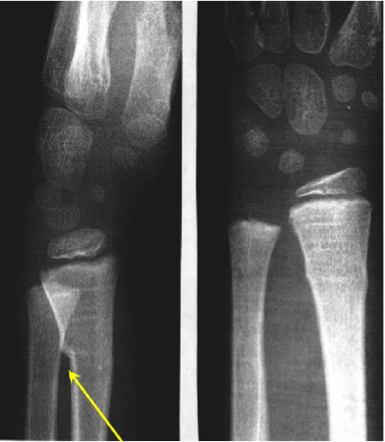 Traditionally, children with a buckle fracture were put into a plaster of paris backslab or full plaster cast, and brought back for orthopaedic clinic. Being in a cast is a big deal for a child and their family. It is hot, uncomfortable, limits their activities for several weeks, and gets really smelly! The good news is that several RCTs (summarised here) have demonstrated that this minor injury can be managed safely and effectively with a removable velcro splint, and does not need follow up. Why choose splint over backslab? 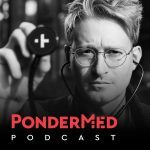 Checklist – is a splint OK for this child? Regular simple analgesia for several days, then as needed. Keep splint on constantly for two weeks (only taking off briefly for washing). In the third week the child can start taking splint off for longer periods if they are comfortable – they will normally start to want to use the arm normally when it is on the mend. After the third week, the splint does not need to be used any more. No contact sports for six weeks after injury, as there is a risk of re-fracture at the same site. Demonstrate how to put the splint on correctly. Tell them to come back if the wrist becomes much more painful/swollen, if they have any altered sensation or they fall and injure the same arm again. Dr. Katie Knight (@ponderingPaeds) is a paediatrics trainee in London, currently working at Homerton University Hospital. She has completed 3 years of training in general paediatrics and is planning to specialise in paediatric emergency medicine. She is passionate about innovative medical education and simulation training in PEM.